A better way to install awnings. The Steel Stitch Method includes a line of products that provide an easy, reliable way to install awnings. Staples are driven into the Steel Stitch tube, which joins the fabric to the awning frame. The staples are then concealed with a Steel Stitch PVC trim, which is driven into the channel with a small pneumatic hammer. The result is a secure fit and smooth look, done in less time than other techniques. We carry a wide range of Steel Stitch products in our Awning Hardware section. Explore PVC and fabric-covered extrusions, pneumatic hammers and air staplers, aluminum tubes, staples, and accessories. Steel Stitch’s unique PVC extrusions act as a seamless trim that is worked into the awning frame. With nearly 100 styles to choose from, these products conceal staples and match coinciding fabric colors. Please note: some of these products require a full roll purchase and are noted on the product detail page. For questions on qualified items, please chat with one of our Customer Service agents. ZipStrip comes in a standard PVC option as well as fabric-covered options. 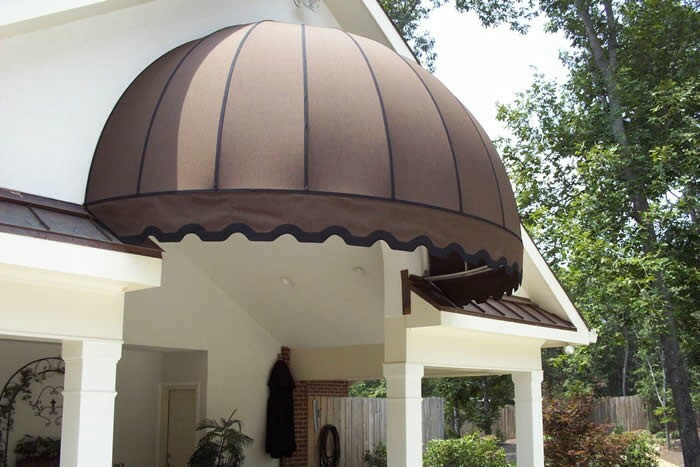 Choose from Sunbrella® or FIRESIST® options to coordinate with your existing awning fabric. FlashStrip is an extrusion that’s driven into the back bar of the awning frame to create an airtight seal. The clear material enables the substrate to show through. Find all the coinciding framing materials, replacement parts, and tools needed to complete your next awning project. All are recommended by the experts at Steel Stitch. 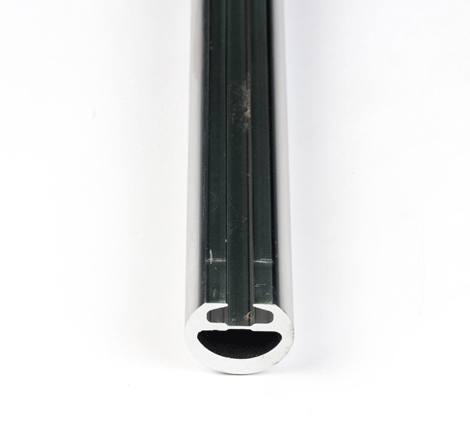 Steel Stitch offers a collection of tubes and rods that make up the aluminum framing to be used in the Steel Stitch Method. They range in use from staple-in tubes to middle rafters for under-lit awnings. The staple-in tube pictured above shows the distinct channel that places Steel Stitch ahead of other awning fabrication methods. Available in multiple sizes. Pneumatic Staple Gun, the Danair Pneumatic Hammer, and wide-crown staples in aluminum, galvanized, and stainless steel. All are designed for the specific parameters of awning fabrication. Outside of awning applications, the Steel Stitch Staple-In Round Tube is made specifically for boat tops. It brings the same convenient staple-in channel and enhanced corrosion resistance for marine conditions.